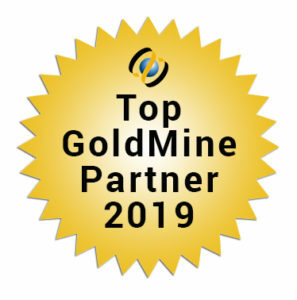 “Is GoldMine all you do?” is something I am asked every now and then when I am on the phone with my clients helping them with their GoldMine issue(s). So I figured I’d take a few minutes to write about how First Direct Corp. can help you and your organization to market, sell and service better, as that is the mission statement of First Direct Corp. I started working at First Direct Corp. in 2000 after graduating from Marist College with my degree in Information Technology. I was initially hired to create/design an e-commerce enabled web site. 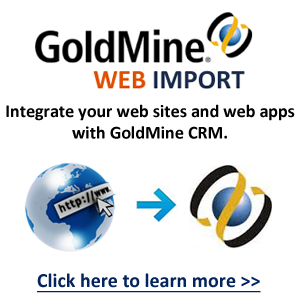 One of the key features of First Directs’ web site is the integration with GoldMine. When a web site visitor fills out and submits an online web form, that contacts information is automatically entered into GoldMine as a new contact record or updates an existing one. After a contact record is ether created or updated, GoldMine Automated Processes are triggered to schedule follow-up actions for other GoldMine users. The ability to integrate your web sites contact forms with your CRM system is not unique to GoldMine CRM, but the fact that GoldMine has had this feature/capability for 25+ years, is impressive. 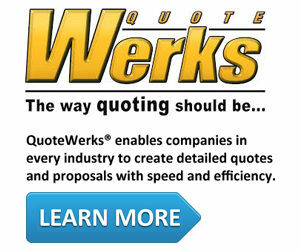 If you’re web site isn’t integrated with your GoldMine, it’s time it should be. Contact First Direct Corp. so we can discuss. 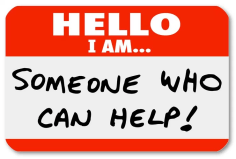 After several years of focusing mainly on designing and maintaining First Directs’ web site(s), I began providing tech support to our customers by working on the Help Desk. Working on the help desk for the last 15+ years has allowed me to gain a greater knowledge of GoldMine and the SQL server database management system. Whether it be helping with your use of GoldMine, the configuration/customization of your GoldMine or the administration of your GoldMine database, there isn’t any aspect of GoldMine and how it functions within your business that we can’t assist you with. If you have questions about what more your GoldMine can do for you, contact us so we can discuss. As I became more heavily involved in the day-to-day operations at First Direct I realized that our email marketing efforts were in need of improvements, and since email design and web site design require very similar skill sets, I began working on creating/re-designing our email marketing campaigns. I’ve spent many years reading about effective email marketing design practices and the Do’s and Don’ts of email marketing. I’ve tinkered with many different email marketing platforms/systems. If you would like to discuss the many ways you can improve your email marketing efforts, I’d be happy to discuss them with you. With the knowledge gained from designing email marketing campaigns and my experience/knowledge of web site design, I worked on developing a solution that would allow your email marketing campaigns to be integrated with GoldMine, similar to how online contact forms can be. I’m proud to say that this solution has a growing list of users and I’d be happy to discuss it with you and how it can help you with your email marketing efforts. But to answer the initial question, “Is GoldMine all you do?”, my response is “No”. Here at First Direct Corp. we “Help You to Market, Sell and Service Better” and just like myself, each of the technicians here at First Direct has a wealth of knowledge in many different areas and I’d strongly encourage you to reach out to us to discuss any aspects of your business that you feel you are struggling with, we’d be more than happy to listen to your issues/questions and work with you to provide solutions. Is Your PC Running Slow? Maybe it’s time to DEFRAG! !